It is always in the news every now and then, but seeing it in the papers on successive days drew my attention. Centuries from now, a large swath of the West Antarctic ice sheet is likely to be gone, its hundreds of trillions of tons of ice melted, causing a four-foot rise in already swollen seas. 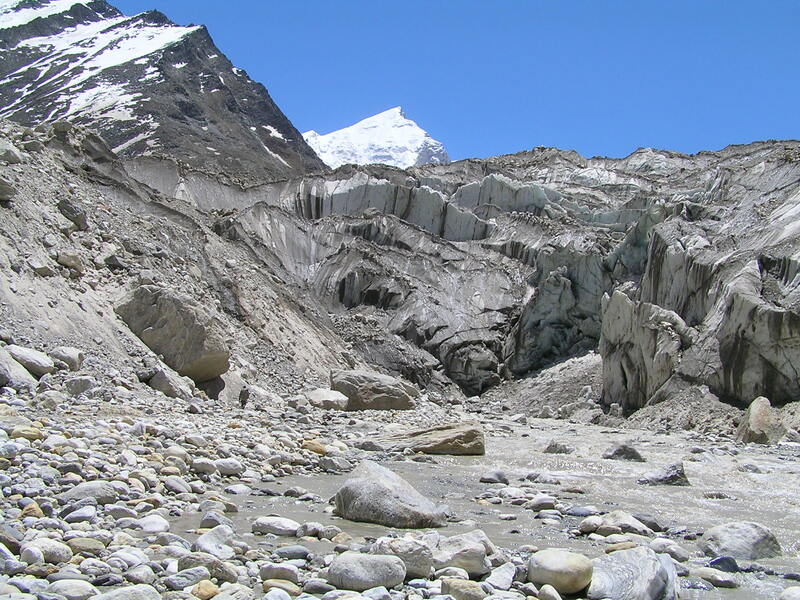 Glaciers in the Qinghai-Tibet Plateau, home to several Himalayan rivers, have shrunk by 15% in the past three decades and the situation could worsen in future due to global warming, Chinese scientists say. 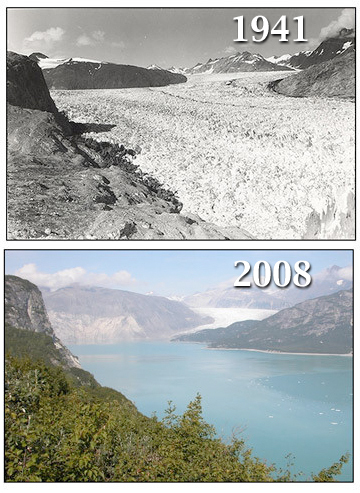 But keep in mind that the climate on Earth is still much colder today than it was during a 200 year period 1000 years ago. Back then, the Vikings established productive farms on the coast of Greenland. 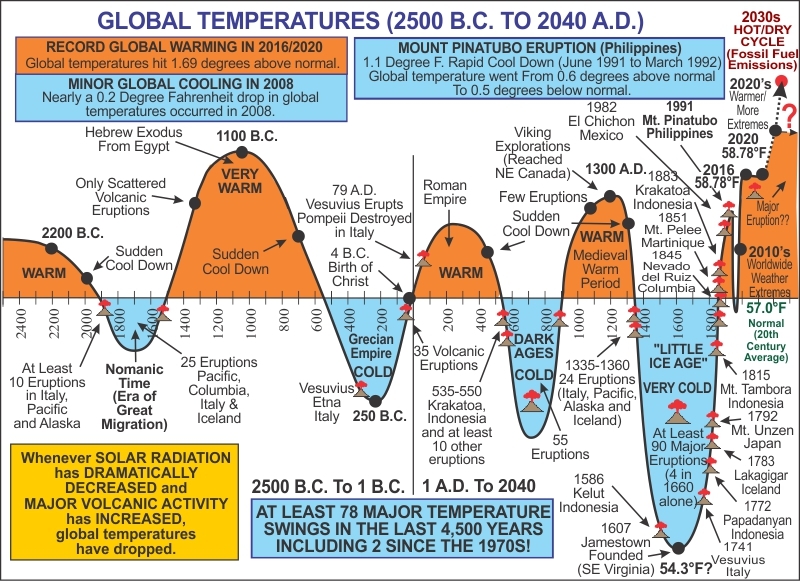 Global Temperature Trends From 2500 B.C. To 2040 A.D.